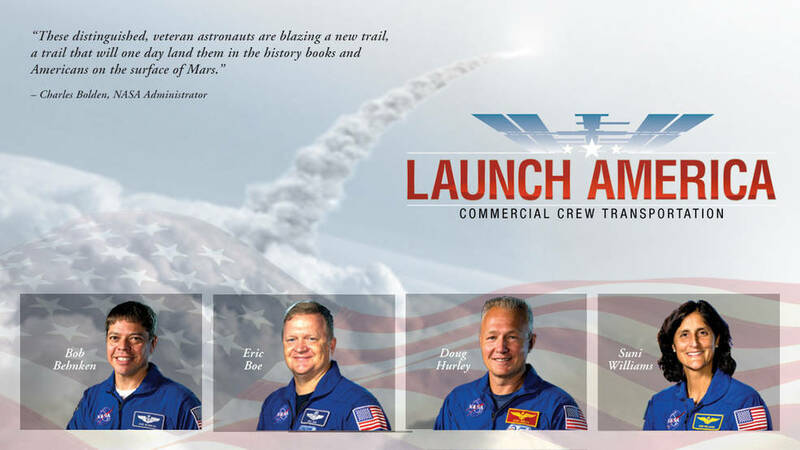 NASA has selected four astronauts to train and prepare for commercial spaceflights that will return American launches to U.S. soil and further open up low-Earth orbit transportation to the private sector. 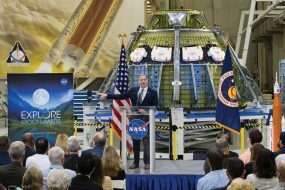 The selections are the latest major milestone in the Obama Administration’s plan to partner with U.S. industry to transport astronauts to space, create good-paying American jobs and end the nation’s sole reliance on Russia for space travel. NASA named experienced astronauts and test pilots Robert Behnken, Eric Boe, Douglas Hurley and Sunita Williams to work closely with The Boeing Company and SpaceX to develop their crew transportation systems and provide crew transportation services to and from the International Space Station. The Commercial Crew Transportation Capability (CCtCap) contracts with Boeing and SpaceX each require at least one crewed flight test with at least one NASA astronaut on board to verify the fully integrated rocket and spacecraft system can launch, maneuver in orbit, and dock to the space station, as well as validate all systems perform as expected, and land safely.